Having a qualified retirement plan shouldn’t be like putting a puzzle together. We tie together all of the pieces for you, so you can focus on what’s important—running your business. Our team of actuaries and consultants have the ability to simplify technical and regulatory complexities into understandable concepts. We make sure that you don’t need to be an expert in retirement plans to know what is going on with your plan at all times. 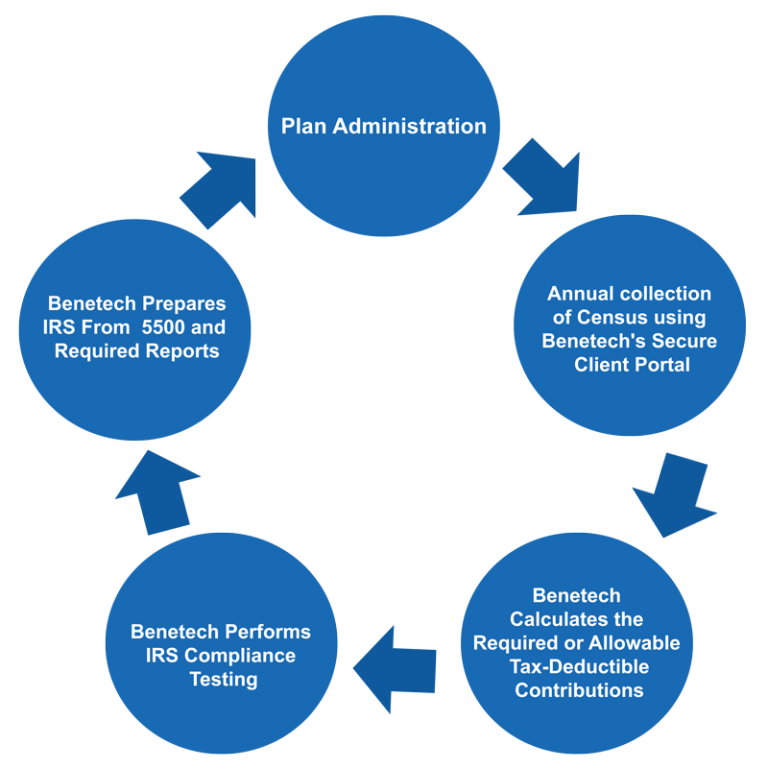 If a client needs actuarial consulting, they will speak with an in-house actuary, who is able to work closely with the client’s dedicated Benetech Retirement Plan Specialist and make sure that their plan is being handled in the best possible way - the Benetech way. We feel this leads to the best customer service experience for our clients.